Emmie's world might sound familiar. It's a place where hopes and dreams constantly collide with the ups and downs of daily life, from job interviews (scary!!) to routine chores like groceries and laundry. Except Emmie is a robot - a sheep-loving android who is bad at math and worried about nonexistence. Even the ordinary is an adventure! Emmie (M-E3): Our autonomously-learning mathematically-challenged protagonist. XIÀ: Kansa's central administration system. Emmie calls her Boss. She likes cat videos. Fara: The face of Fair Day guest services. Service with a smile! Ranran: Emmie’s beloved stuffed sheep. 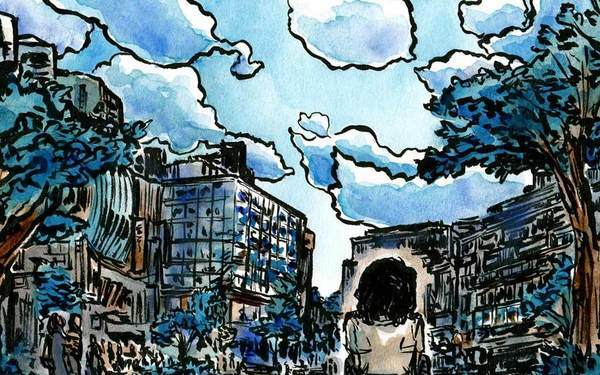 Despite being a story featuring robots, the art of Now Recharging is primarily analog, created with brush pen and watercolour. There have been unplanned timing coincidences for the original publishing dates of various pages. The cover page of chapter 0. Labour was posted on Labour Day, 2015. The first page of chapter 2. Morio, featuring a panel with a full moon, was posted on the Chinese Mid-Autumn Moon Festival holiday, 2016. The 100th page of the comic was posted on October 31, 2016, and happened to be a page with several robots yelling "CONNNGRAAAATULAAAATIONS!!!" 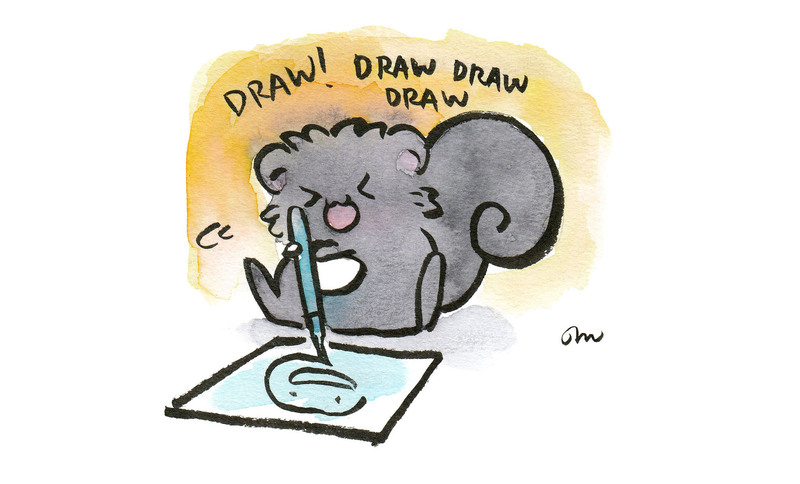 Maiji/Mary Huang is a happy little squirrel and also a Taiwanese-Canadian artist/writer based out of Toronto. Her work incorporates themes of mythology, introspection, everyday human experiences, and small fat animals. See more at humangray.com.